Today’s personalized emails are filled with dynamic content. Just take a look at how many emails in your inbox include personalized content that’s tailored to you. This can be as simple as seeing your first name to the more advanced product recommendations, ads, and even full images! 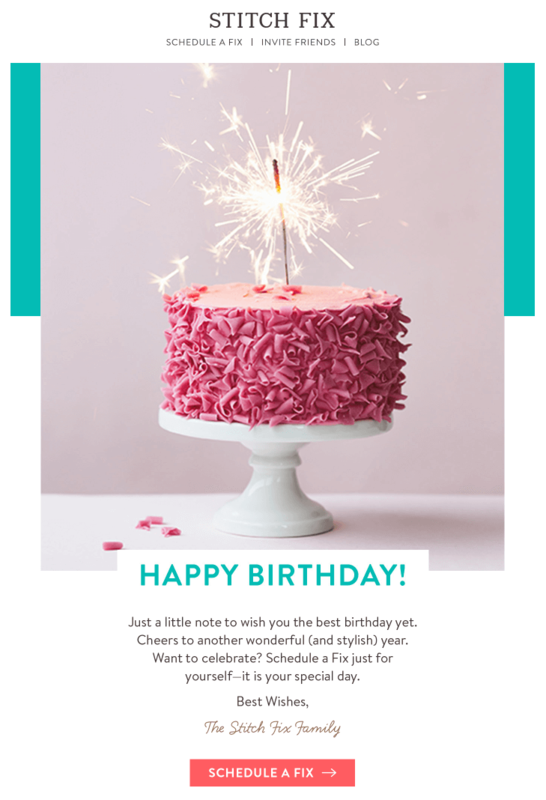 Let’s take this happy birthday email from Stitch Fix, an online styling brand. Birthdays are a great opportunity to connect on a personal level with your subscribers. They’ll love to know you’re thinking of them and happy to see a personal offer on their special day. 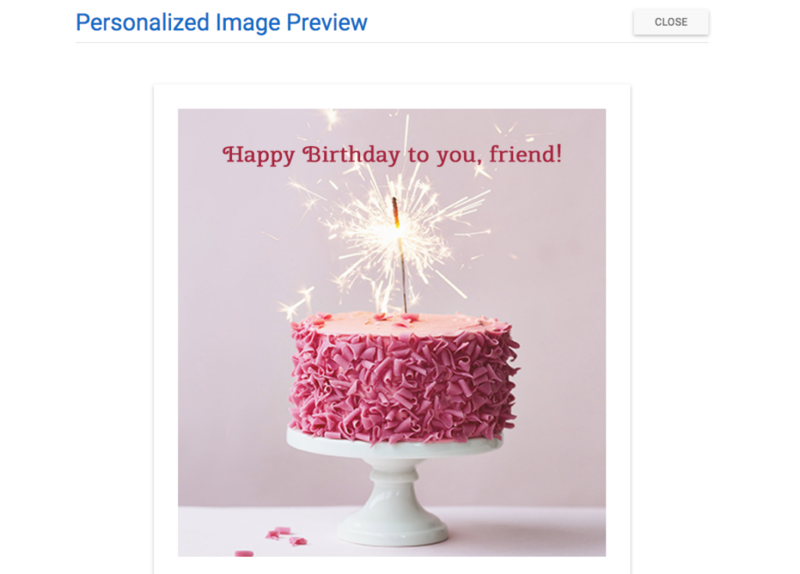 If you’re not already sending a personalized birthday email, now’s the time to start, since tailored birthday emails achieve a 179% higher click-through rate compared to regular promotional emails. Our intuitive, drag & drop editor to design the email message. 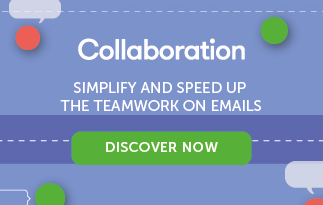 If you’re not already using MailUp, start a free trial to have access to its editor. 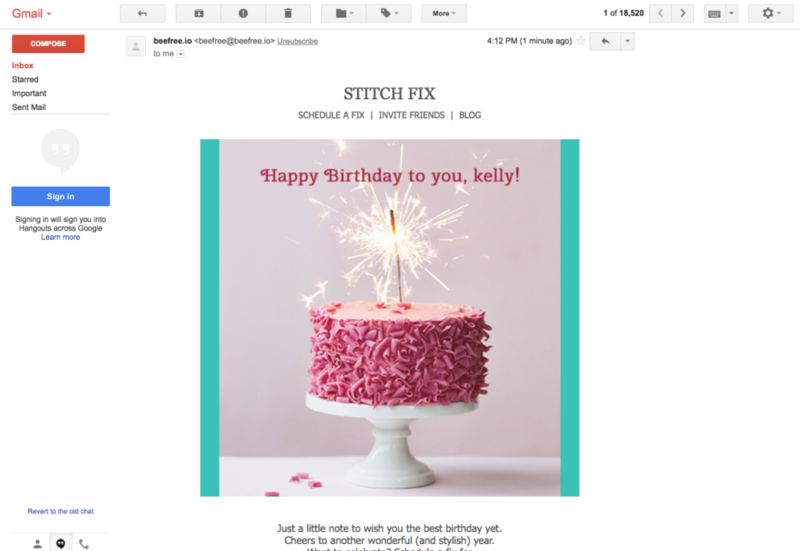 Let’s recreate the layout of the Stitch Fix happy birthday email in the drag & drop editor. Begin with a single column layout and add the header, image block, and text blocks below. Next, add the text and customize the CTA button. Let’s also add a turquoise HTML color padding to the image, as in the original email. For now, though, let’s leave the image placeholder blank. If you haven’t already, create a NiftyImages free account to get started immediately! On the welcome screen, select New Personalized Image. 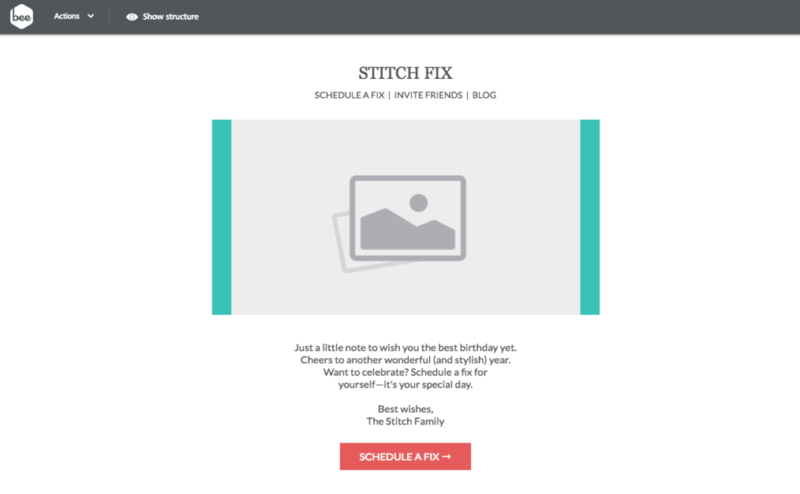 Since we already have our birthday image from the Stitch Fix example, let’s upload into NiftyImages. 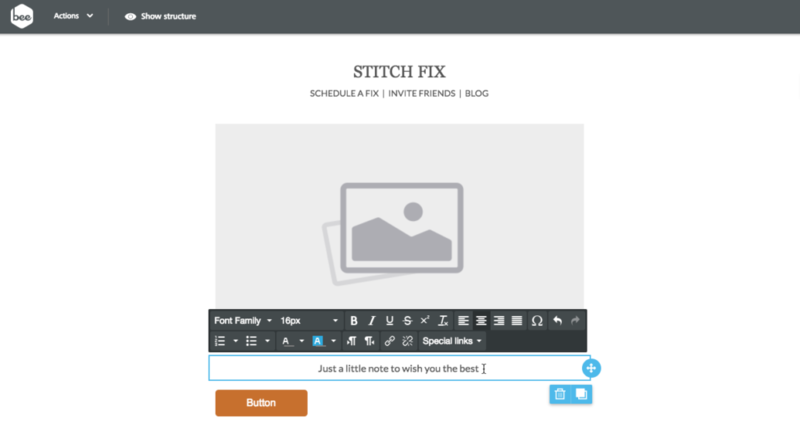 Click the [Upload Image] button in the upper right corner to import the Stitch Fix image. The default personalization text “Great deals for our customers” will show up for us to edit next. 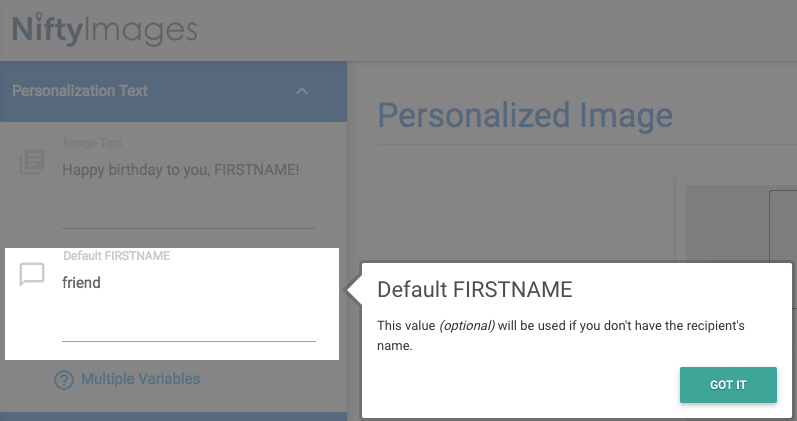 For now, we’ll use FIRSTNAME as a placeholder for our dynamic text; you’ll see how to customize it for your email service provider (ESP) in the next step. Next, provide backup text, so that any recipient whose name isn’t in your mailing list database will still receive a complete message. Let’s get a bit technical. The personalized happy birthday image that we designed has a special dynamic URL. 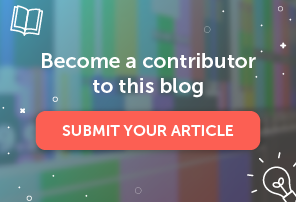 Notice that the image URL has the recipient first name field as a parameter at the end, which is specific to the emailing platform that you’ll be using to send this email. You therefore need to choose your email service provider (ESP) from the drop down. Here’s an example for MailUp, our email marketing platform. This step is very important: if the first name merge tag syntax is wrong, then the image won’t work. Each ESP has a different syntax for merge tags (some use curly brackets, for instance). 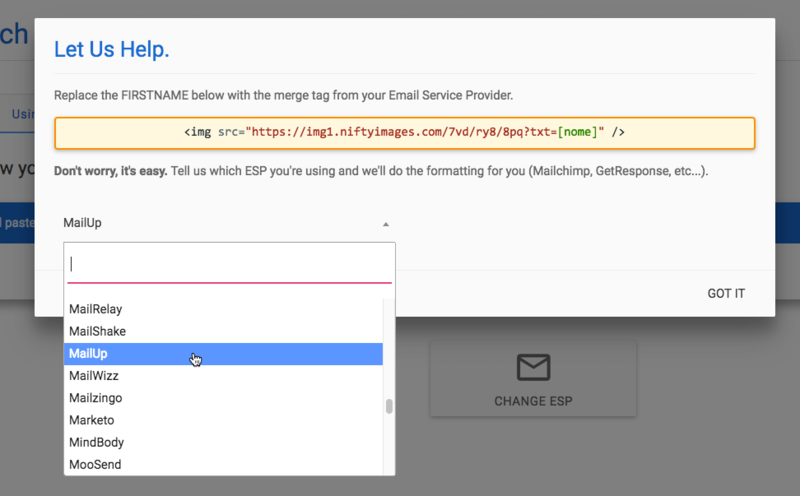 The drop-down in NiftyImages generates the URL for your email service provider (ESP). So once you choose your ESP, copy the image URL and let’s get back to the editor. We’re almost done! In the MailUp editor, click on the image placeholder to view the menu on the right. 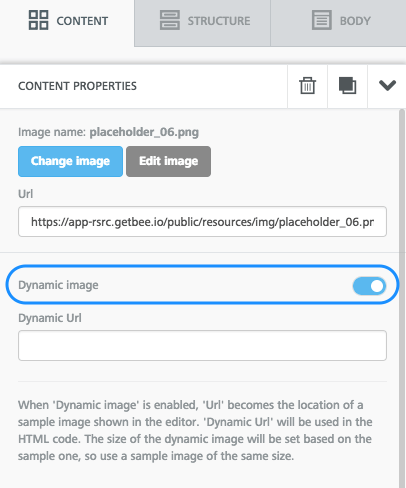 Turn on the Dynamic image button from the Content Properties. To learn more about the dynamic image feature of the editor, please view our help article on How to use dynamic images for countdown timers and personalized content. 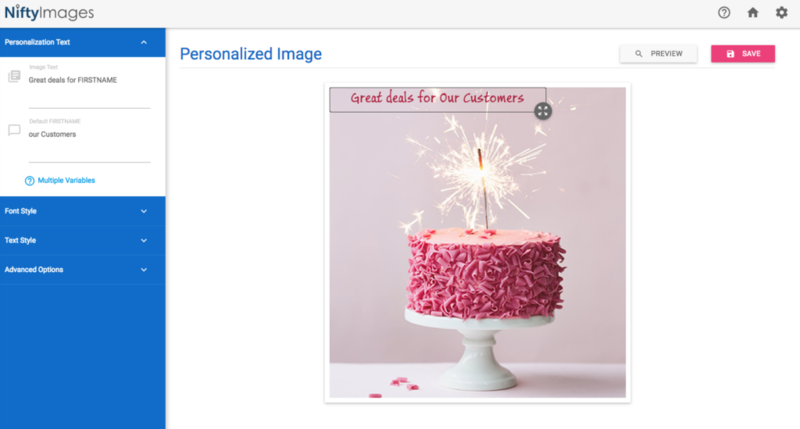 Paste the image URL from NiftyImages and the personalized happy birthday image will now appear in the editor. Voilá! 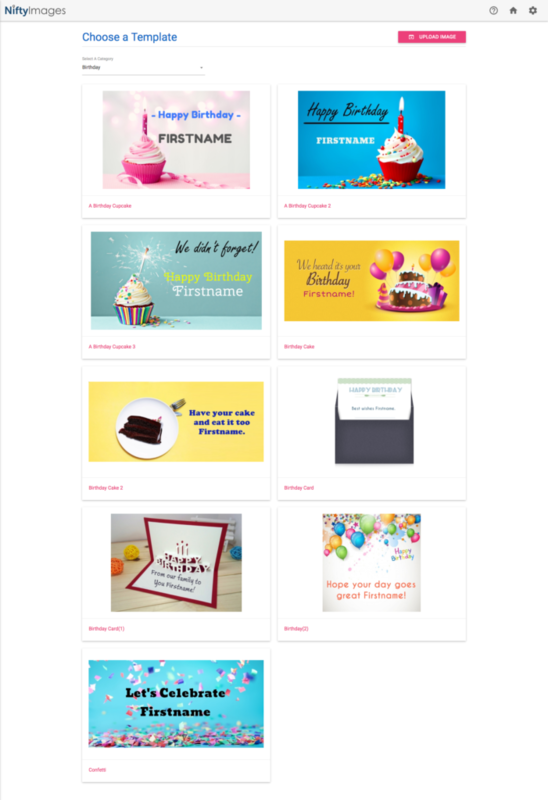 We’ve created an awesome personalized happy birthday email with just two design tools and in three simple steps. So, there’s no excuse not to try more personalization in your email campaigns! If you’re not already using MailUp, sign-up for a free trial and have access to additional templates and design features.